Canada says it plans to provide $2.9bn (£2.2bn; €2.5bn) with the help of its G7 partners to fund education for the world's poorest girls and women. The money will help fund equal access to education and learning opportunities in countries across the globe, a government statement said. The announcement on Saturday was delayed as contributors including Germany, Japan, the UK, the EU and the World Bank, continued to commit funds. The G7 summit was held in Quebec. It is an annual event bringing together Canada, the US, the UK, France, Italy, Japan and Germany, which represent more than 60% of global net worth between them. The Canadian government said commitments to the education fund announced on Saturday represented "the single largest investment in education for women and girls in crisis and conflict situations". The proposed investment, it said, could help educate more than eight million children and teenagers. Nobel Peace Prize winner Malala Yousafzai, 20, welcomed the pledged funds. 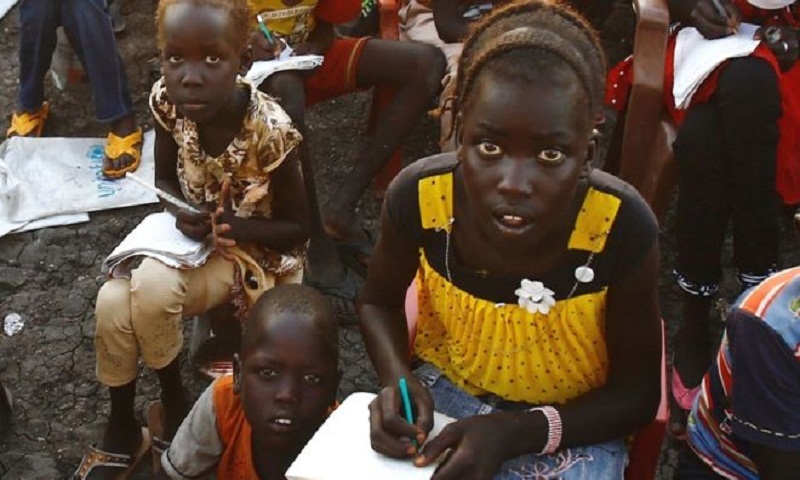 An estimated 75 million children, many of them girls, are out of school in 35 conflict-affected countries around the world, according to the UN children's agency Unicef. In conflict situations, girls are 2.5 times more likely than boys to not be in school. Some of the larger commitments were made by the UK, which said it would invest $250m, and the World Bank, which said it would contribute $2bn over five years. Canada said it was committing almost $310m over three years.